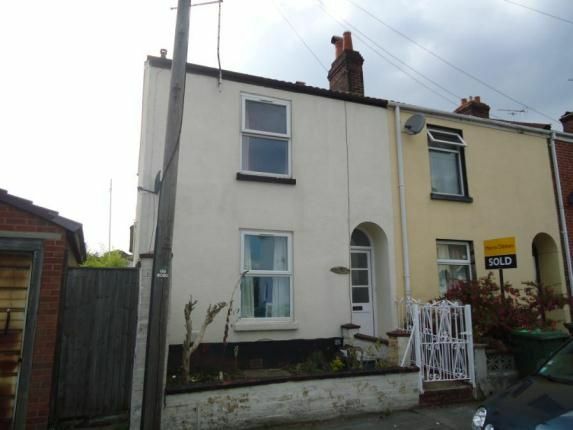 The opportunity arises to purchase this three bedroom end of terrace house which has a 11'3" x 11'1" lounge, separate 10'6" x 9'1" dining room, a 11'4" x 6'7" kitchen with oven, hob and cooker hood to remain and a downstairs cloakroom. The property also has upstairs bathroom and 14'7" x 11'1" master bedroom and the majority of windows are double glazed. A prospective purchaser should be aware the property is sold with no forward chain. An internal viewing is strongly recommended to appreciate the accommodation, location and size that this property has to offer. Local shopping facilities are available in Bedford Place whilst more comprehensive amenities can be found in Southampton City Centre including the West Quay Shopping Centre. Southampton also boasts a main line railway station providing access to London Waterloo whilst the M3 can be accessed via The Avenue and M27 via Thomas Lewis Way. The sports centre along with Southampton Common which has over 300 acres of parkland provides recreational facilities. Entrance Hall With stairs to first floor, single radiator, dado rail, moulded coving and under stairs storage cupboard. Lounge11'3" (3.43m) into chimney recess x 11'1" (3.38m). Double glazed front elevation window, TV point, picture rail and moulded coving. Dining Room10'6" (3.2m) x 9'1" (2.77m) into chimney recess. Double glazed rear elevation and single radiator. Cloakroom Providing close coupled WC, pedestal hand wash basin and three rear elevation windows. Bedroom One14'7" (4.45m) x 11'1" (3.38m) narrowing to 9'2" (2.8m). Double glazed front elevation window and single radiator. Bedroom Two11'1" x 6'8" (3.38m x 2.03m). Double glazed side elevation window and single radiator. Bedroom Three9'2" (2.8m) into chimney recess x 7'2" (2.18m). Double glazed rear elevation window and single radiator. Bathroom Comprising panelled bath with mixer taps and shower attachment, curtain and rail, close coupled wc, pedestal hand wash basin, extractor and single radiator. Outside The front garden is low with boundary wall partially laid to lawn and paved giving access to the front door. The rear garden is enclosed, paved and walled to all three boundaries.